The best part of STOMP is that it can be watched by all – kids, teens, adults, elderly people – there is some element that appeals to each age group. It doesn’t have words and the musical is ironically not structured on melody, but chooses to focus on rhythm instead. 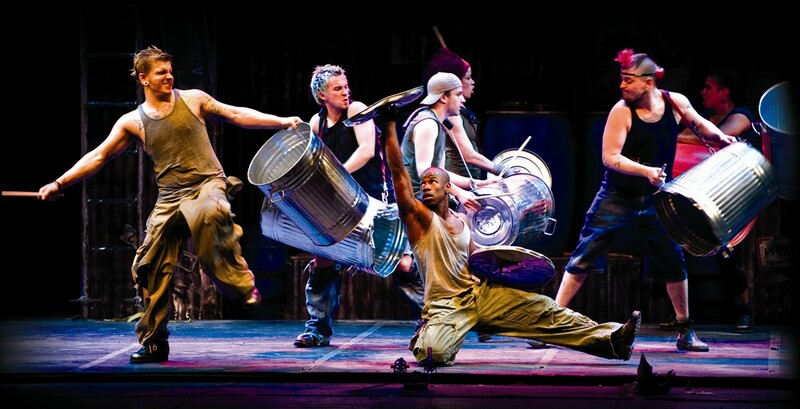 Irrespective of your taste in music, STOMP at the Orpheum Theatre, New York, shouldn’t be missed out! The spectacle consists of an extraordinary amalgamation of percussion, movement and visual comedy, which dates back to Brighton, U.K. more than two decades ago in 1991. It was the brainchild of Steve McNicholas and Luke Creswell, who had begun to collaborate from 1981 as members of the street band Pookiesnackenburger and the theatre group, Cliff Hanger. When the band produced the famous “Bins” commercial for Heineken lager, which was a part of the band’s stage performance, it paved the way for STOMP’s dustbin dance in the climax. STOMP features a group of individuals, each bringing something to the group with their unique, yet strong personality traits. They work as a team by utilizing simple building blocks to create a complex entity, which can be associated with everyone, and is identifiable by others at the same time. The crowd has their own quirks, eccentricities, competitiveness and differences like normal human beings, which in turn define the peculiar, yet intriguing dynamic between them. What makes STOMP a must-watch? It is an extremely enjoyable show, full of underlying wit and humor, which is why it has garnered glowing reviews and tremendous praise. The ensemble cast with 8 members use unusual objects they have found, to create captivating music and tongue-in-cheek humor. The items are diverse such as Zippo lighters, push brooms, wooden poles, hammer handles, garbage cans, inner tubes, matchboxes, kitchen sink, and so on. The blend of household and commercial objects to breathe character into music is an exceedingly brave attempt at a fresh idea that took off perfectly. It is tough to pinpoint a single factor and say it its awesome or brilliant! In fact, the whole concept is a glaring example of genius – in some ways, STOMP was ahead of its time, even though it was and continues to be well-accepted and liked. The wordless factor also adds to its appeal, while the full houses are proof enough that STOMP has many years left to wow audiences and solidy their mark in the world of theatre.